Kaivopuiston mattolaitureiden viereen Helsingissä on avattu uusi kahvila. 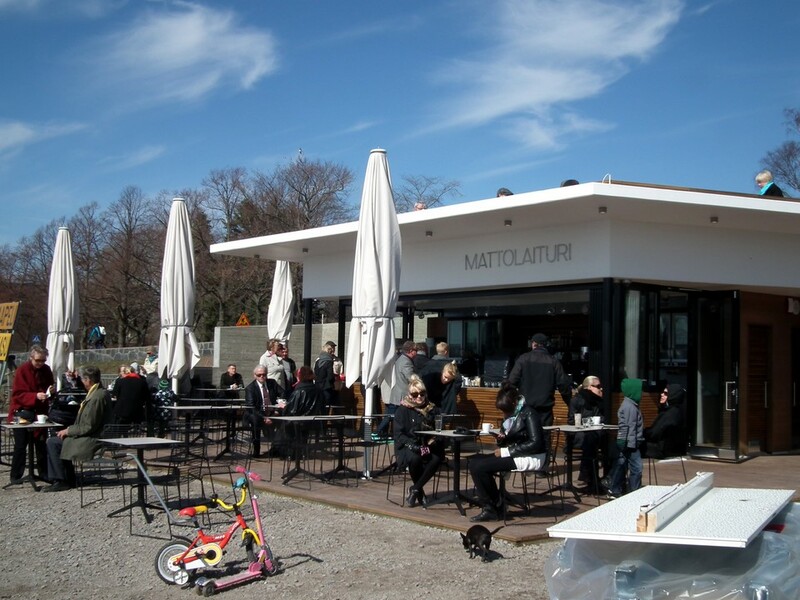 There is a new café now in Kaivopuisto, Helsinki. 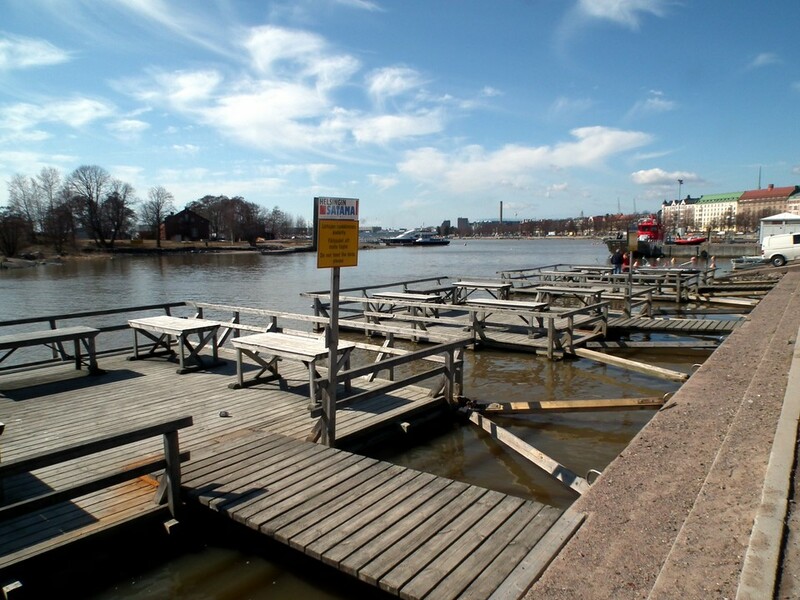 It is located just next to the famous carpet washing platforms ('mattolaituri' in Finnish).